Plumb lasers give a dot on the screen as a point of reference. These are the simplest and cheapest laser that are available, but it has the least power to keep the laser beam. Line level lasers are also known as Laser line generators which give a beam in the form of a level line to a wall or work area. They are designed to cover the wide range of angle which may range from 160 degrees along a vertical line and about 130 degrees for a horizontal line. Line level laser can produce lasers both dual beams and also split beam which emits vertical and horizontal lines to give plumb and also level. Best use of these models are indoors or mainly for short coverage area. The usage of this laser is possible outside, but it will be difficult to detect the laser in daylight. 2.1.1 How to use it best ? 2.4 How to get the Best Rotary Laser Level ? 3 How to Use a Rotary Laser Level ? While going through these points, it is always necessary to have laser level, mainly the Best Laser Level. It is always advisable to get rotary level laser and in the upcoming contents you can see the top Rotary laser level. 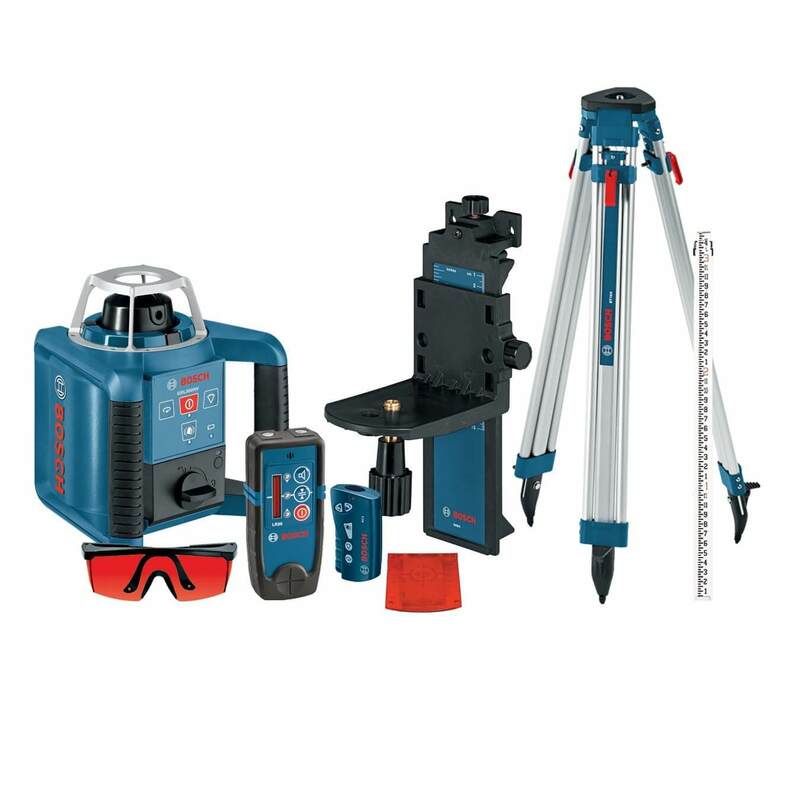 Bosch has been a leading company in the field of measurement technology along with highly innovative and advanced engineering. Best quality, durability and forward thinking are the factors that make Bosch a strong competitor in this field. Bosch laser technology, offers the users most productive and profitable laser with great accuracy and precision on the job. They offer a huge category of line lasers, rotary and point lasers. Bosch provides solutions to different varieties of applications. In this case, Rotary Levels that can do Grade Match are lasers that have the ability to tilt and match according to the desired grade. The lasers do not allow the user to enter the desired grade. Bosh GRL300 HVCK Laser Rotary Levels also allow the user to enter the desired grade directly into the laser’s control panel. This is a special feature that may increase the cost of the product and if user is making use of it, it is a very supporting feature. In this case also the Auto-Level features disable it when user is out of level and is doing a grade function. When the work-space is indoors, the Bosch GRL300HVCK Rotary Lasers are used for interior works like drop ceiling installation, trim work and chair rails etc. For these, lasers generally include a wall or ceiling-mount bracket and remote controls. Also there is no need of laser detector in the indoors since detectors are generally used for outdoor or exterior work and not indoors whereas some products do include a laser detector with their Interior Lasers as per the convenience of the customer. In case, there is need to use these laser levels outdoors, it can even be used outdoors but make sure there is always a detector required while working outdoors since the human eye cannot see the laser beam in bright daylight. 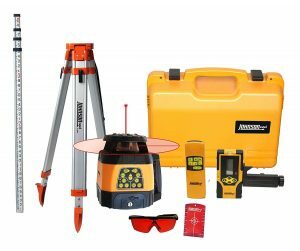 Other than the interior works, these Laser Rotary Levels are good when the work space in outdoors for exterior work such as grading & utility work is underground, site maintenance, construction of the stake out settings etc. 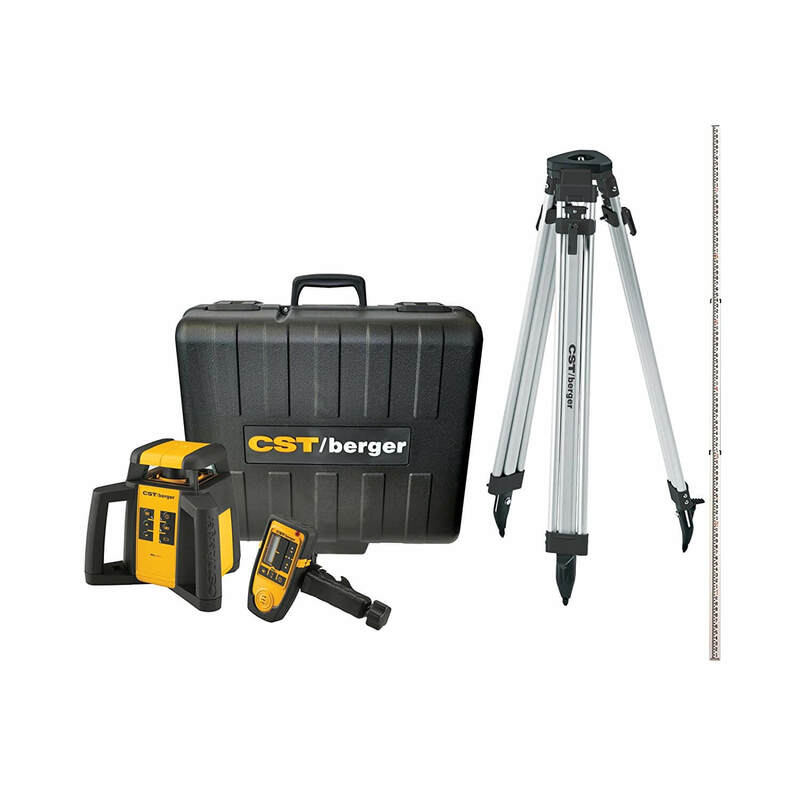 In these cases an exterior laser Rotary Kit should include a Grade Rod, and a Laser Detector. Laser Detectors are required if working outdoors because most of the laser beams are not bright enough to be seen by the naked eye. Also, the uses of a laser detector will almost double the range of a rotary laser. In some products the Detectors are provided along with the kit whereas in some cases it has to be purchased separately. If a laser kit does not include a laser detector, then make sure to buy a red-beam detector for red-beam laser levels and green-beam detector for green-beam laser levels as they are the best detectors available in the market and give a good result. Complete selection of the beam visibility enhancing that is variable speed selection, variable scan angles for max visibility in light conditions. It also gives a 90 degree layout and plumb beam. Other than the efficiency of the laser, it makes it easier to handle and grip. For head assembly there is a protected cage, an extra kit that can keep the laser safe when not in use. It also helps to fatly handle the position of laser beam on work area or known point. The most important is its self-leveling feature which is fast horizontal and also vertical. As per the review of Bosh GRL300HVCK Rotary kit, it comes with a remote, wall mount and a durable case. But this laser does not come with receiver, stick, or a tri-pod. The set-up is simple with a level which is easy to use and the rotating beam is great. It is just that we are unable to see it, even with the glasses, when outdoors. With a little trial and error, detector was able to use, but just barely. In this it provides a half inch of the laser before that dictator is to be found and the detector has to be straightened up and down to laser to find it. DEWALT DW079KD is an 18V interior/exterior kit rotary laser with self-leveling and Laser Detector that comes in the Best Laser Level list; it can be carried anywhere as it is a Cordless Rotary Kit which helps make work faster and easier. Also it can be used much more precisely on a wide variety of interior & exterior layout and installation jobs. 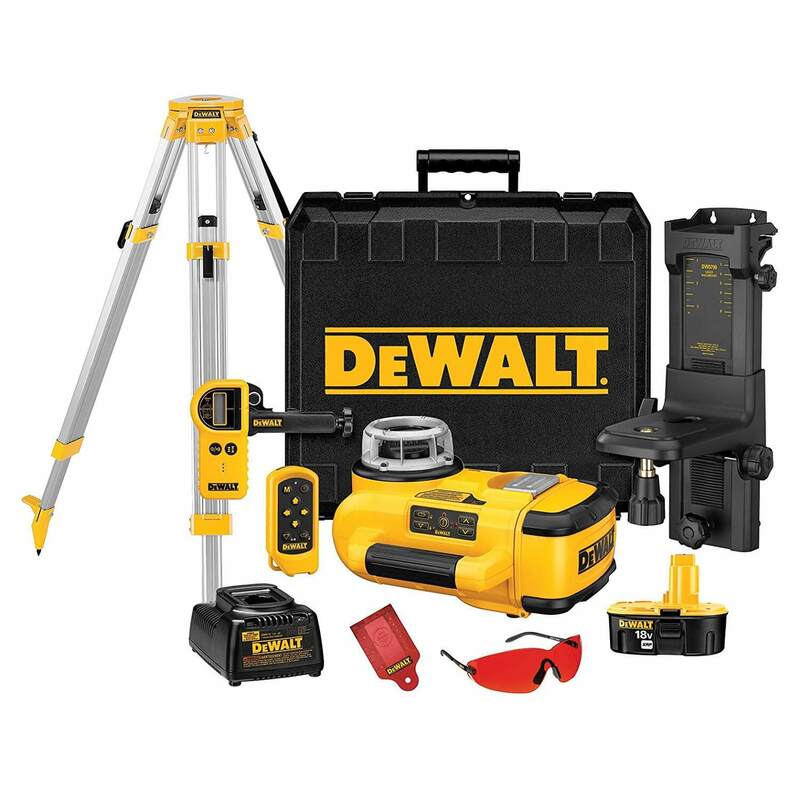 This new DEWALT DW079KD is a self-leveling Rotary Kit of 18 volts which is completely automatic vertical and horizontal self-leveling laser. It is available with a remote control and also an out of the level shut-off that eliminates errors. It even includes a laser detector (digital) which increases the working range to 2000 ft. It is easy to operate as it has a user-friendly design, one just needs to turn on the DW079KD and it will start work. That is it automatically levels in either horizontal or vertical mode. The beam can come up to 100 feet indoors, and up to 2000 feet outdoors. It is flexible and highly durable. So it can be used for indoors and outdoors also. The Dewalt DW079KD 18v rotary laser gives high accuracy which is plus or minus 1 to 8 inch/ 100 feet. It reduces setup time and also provides accuracy. Rotary head is fully protected and its weather-proof design provides jobsite durability to both interior and exterior. As per the latest laser level report, it is said that within a single product there is multiple application. It is used for laying out walls indoors and outdoors, for checking and setting elevations throughout the floor & guestrooms, and also the remote function is good as its simple and easy. Johnson’s Electronic rotary laser System with self leveling is a rotary laser which projects a red beam of light 360 degree. One of the main features is, it allows two types of rotational speed one of 200 and other of 500 RPM. The slower speed makes the beam more visible whereas the higher one is prescribed for outdoor use, with a detector. For maximum perfection and accuracy this rotary laser can be used horizontally or vertically. 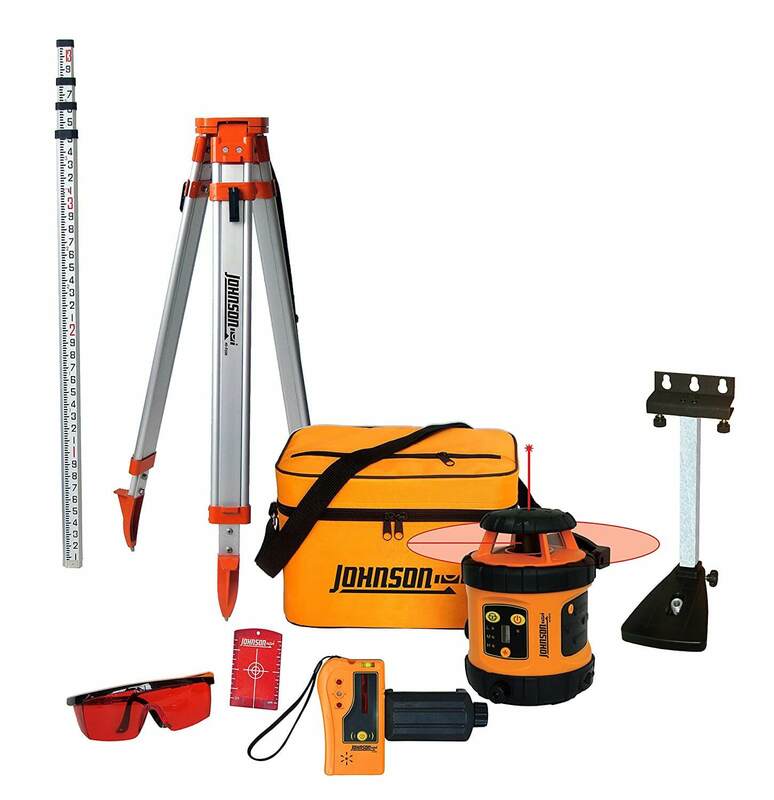 For outdoor use Johnson Level Laser System includes a red beam laser detector with a grade-rod. This Laser-system-kit includes 6.4Volt battery adapter, NiMH rechargeable battery, alkaline battery compartment, even a detector with 9V battery & clamp, and remote control along with a 9V battery. As in the above two cases it can be used interior as well as exterior for both the purposes. 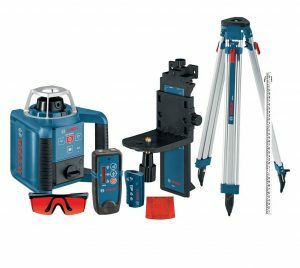 As per the latest report by Laser Level Advisor, this level/tool kit is of good quality and too easy to use. The instructions are simple to follow and just after reading the book once, easy to handle. Its available speed is about 200 and 500 RPM and covers a distance up to 200 feet indoors and 1500 feet using Laser detector. 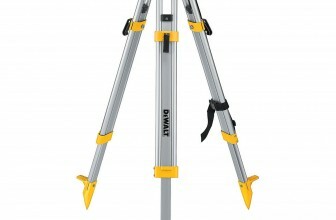 How to get the Best Rotary Laser Level ? Having a look at the Laser level reviews is a good way to have the best one. Rotary Levels are Best Laser Level that is available for the timing. It produces a laser line around the workspace in 360 degrees for reference of level. Some of the laser levels as said above are mainly for uses in indoors only, whereas some can handle both indoor and outdoor. 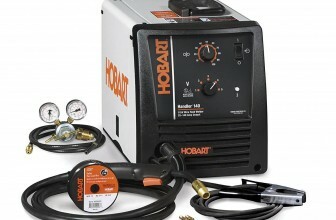 There are lots of Rotary level lasers available at hand and it will always be confusing for customers to choose from. So here are some tips, for the user to choose the good Rotary Laser Level easily. First define the task that has to be done with your new laser. Always make sure of the range and the type of work, and then start choosing the Best Rotary Level. Next you start looking at the features which should be highlighted, such as: plumb-up and plumb-down beam, variable rotational speed or fixed rotation speed, accuracy. Whether a laser detector is included or not. Some of the Rotary Laser Level comes with both detector and laser whereas some will be just Laser level. So make sure about the work space and choose the Best one. How to Use a Rotary Laser Level ? Make sure that rotary laser level is set on a tripod or flat surface. A stable object can be substituted, something like sawhorse or bucket. Set it up to desired height. Now turn on the laser on the laser level. Wait a moment so that the laser level can self-level by itself. If a manual rotary laser level is used, then make sure that it is calibrated correctly. If you are indoors, its ready to marks as necessary for your project whereas if outdoors, continue to step 6. Move the detector along a grade rod at the desired location, it has to be done till a beeping is heard, that means the detector has found the laser. Based on your initial height marked, calculate changes in elevation elsewhere in the work space. It is easy to explain with an example to understand how a Rotary Laser Level can be used in case you have fit or install a chair rail around a room. The toughest part is to make sure that the chair rail is in level and also in the same height from the floor on all the four sides of the room. Without a Rotary Laser Level, user may have to take lots of measurements and make markings on walls as well as on floor. Other than that it has to make sure of the tape measure and traditional bubble level. With a Rotary Laser Level, every other thing can be replaced by just placing it in the center of room on a tripod to hold or level it. Other applications of Rotary Laser Level are like installation of kitchen cabinets with multiple counter-tops, leveling floor, drop-ceilings, etc. In some cases the Rotary Laser Level would be turned on and instead of shooting a beam of light around the walls of the room, the beam will be rotating 360-degrees across. There is a lot difference when it comes to working outside Rotary Laser Level. As it is exposed to sunlight, the human eye cannot see the laser beam of light. Here also let’s take an example for simple outdoor application of a Rotary Laser Level first. Instead of a chair rail around a room, consider it as installation of deck in backyard. The Rotary Laser Level can be set up on a tripod, and also a Detector can be used to detect or to establish the height of the deck’s floor. Once completed, the tripod can be moved so that it can be used with a Detector to build a level wall or rail around the deck. Other outdoor applications for Rotary Levels may include some works like rough and fine grading, where a grade rod is used; or rough and fine excavating, again using a grade rod to keep a record how deep it has to be dug out, alignment of concrete forms, and setting up drainage where a slope feature of the Rotary Laser Level would be needed. 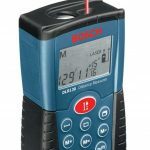 A laser level is mainly used in construction sites or engineering sites to control the laser beams. 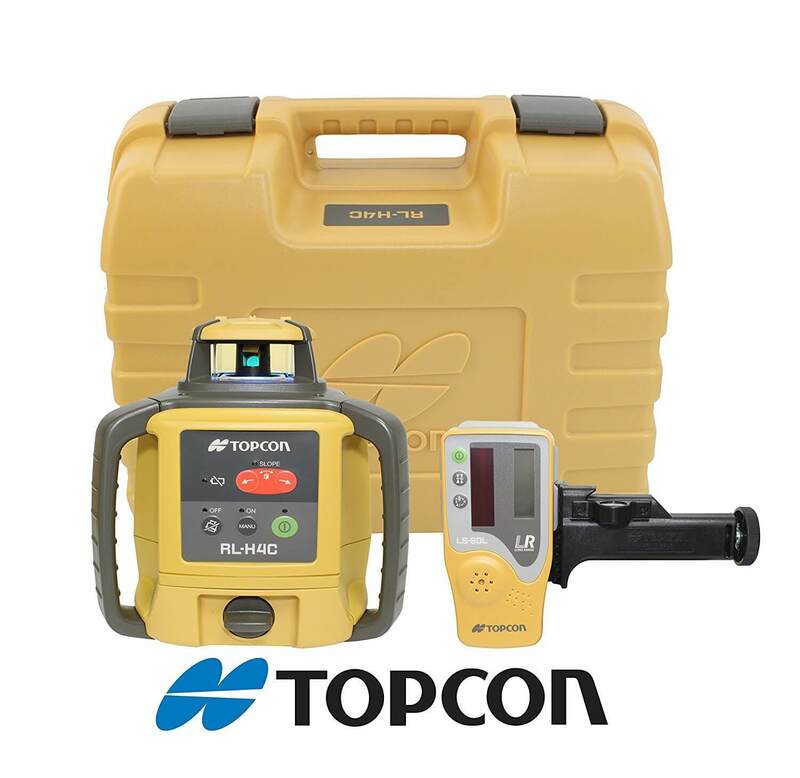 After setting the Laser level, the user can do different type of works that range from grading, concrete pouring, installing fences, chair rails installation, foundations laying out for construction sites, and more can be done from site. Some of the laser levels as said above are mainly for the indoors only, whereas some can handle both indoor and outdoor. First, Rotary Levels have a different or variable speed control. At slower speeds, the beam of light is more clearly seen, whereas at higher speeds, there is more effect, that is only a single line will only be seen through to the room. Second, Rotary Laser Levels have a different scan mode which allows changing the 360-degree rotation to a 30-degree or 60-degree area. By just narrowing the angle of the laser, the laser beam becomes more concentrated and more visible to the human eye. If the work is outside or whether the user is working both outside and inside, the color of the beam, red or green, does not matter.